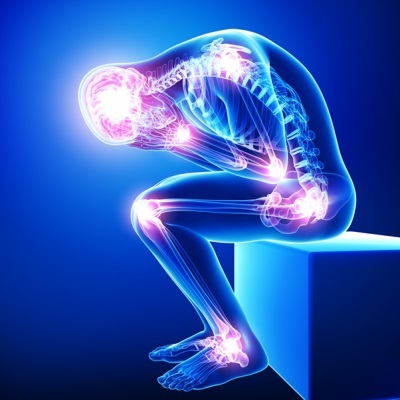 Fibromyalgia can severely impact your quality of life, and because there is nothing to see on the outside and no blood test to confirm it, others often dismiss it as all in the mind, which is terribly difficult for the victim. The main thing to understand about this condition, like so many others, is that it all starts in the gut. It is an autoimmune disease so needs to be treated like one. Getting your microbiome back to a healthy state is the first step to conquering this – and please know – you CAN conquer it – it just may take time. I hope I can help you with a few ways to begin that journey to conquering it today. First, you absolutely have to go gluten But go one step further – give up all grains. Grains contain compounds which destroy the lining of the gut, creating leaky gut syndrome and very often Fibromyalgia sufferers either have celiac disease (where they are not able to eat gluten) or they are somewhere on the scale of gluten intolerance. Actually we are ALL intolerant to differing degrees to this toxic substance, but some more than others. It will not result in immediate relief though, it will take several months – but relief will come. And don’t eat ‘gluten-free’ products, they are not going to help you at this time, just eat REAL whole food. The second thing you need to do to reduce inflammation is to cut out sugar – and this will include agave, fructose, honey, malt, and anything sweet – including fruit for a while. Don’t use artificial sweeteners either, but you can use stevia, xylitol or erythritol. Those are the only alternatives to sugar. You need to reduce inflammation, and this is one of the most important ways to do it. This also includes ALL soft/fizzy drinks and alcohol. Change your fats from the inflammatory seed oils and margarine to butter, coconut oil and olive oil. Don’t ever underestimate the power to change your life by changing what goes into your mouth – especially when it comes to fats and oils. Make sure you are not consuming soy, this is highly inflammatory and toxic to the body in all its forms. Lastly, cut out all dairy products except for real, pasture-reared butter. There are many other dietary strategies which help – but this is essentially where you start. Eat good quality meat, fish, chicken, eggs, etc, have plenty of fresh vegetables and increase the healthy fats in your diet, including the fat on meat. Collagen – either Pure Hydrolysed Collagen or Super CollagenT2 – both will health the gut amazingly in a shorter time than usual. You WILL have leaky gut if you have Fibromyalgia, and nothing heals the gut faster than collagen. Start on 1 tablespoon a day and build up to 2-4 a day slowly. Replace and replenish the flora (good bugs) in the gut with ProB)Plus – take 1 scoop in water a day, and build up to 2. Just doing these two things with the dietary changes could change your life forever. It won’t happen overnight, but I’ve seen countless people come off their pain meds and sleeping pills by going this route, and in time, the condition should go into remission. These products are available from my online store at sallyanncreed.co.za/shop – use the search bar if you need to.